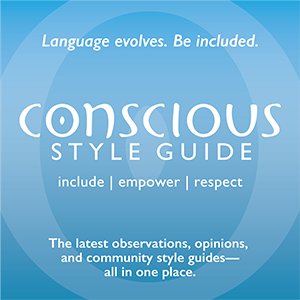 A style guide comparing Associated Press style and Chicago style for editors, writers, teachers, students, word nerds, and anyone else who gives a dollar sign, ampersand, exclamation point, and pound sign about style. 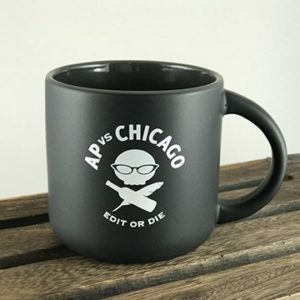 I started AP vs. Chicago to keep track of style and usage according to the popular style guides The Associated Press Stylebook and The Chicago Manual of Style. 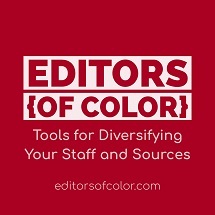 A copy editor with 20-plus years of experience, I make it my job to keep up with changing styles and the evolution of language (or devolution, as the case may be). Even if my client doesn’t claim allegiance to any style, I will go along with the style they’ve arbitrarily created and shake out the mess of commas, hyphens, capitals, and italics to create a piece that sings with power and clarity. And for websites, advertisements, letters, and résumés, this is what makes what you’re selling shine. 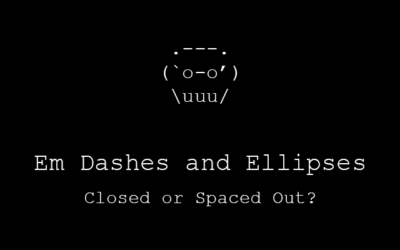 You might be wondering why I’ve paired the em dash with the ellipsis. Doesn’t the em dash usually get grouped with the en dash and the hyphen? 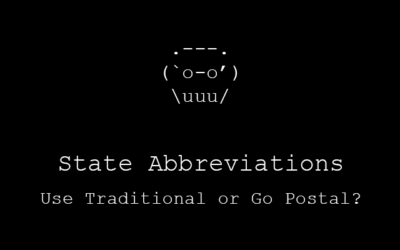 In this quick guide to state abbreviations, I will cover the differences between AP style and Chicago style . 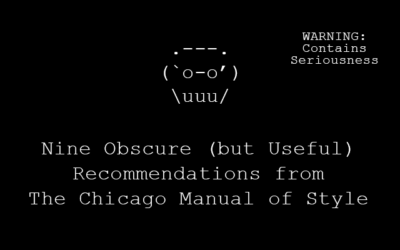 . .
Reading The Chicago Manual of Style while on deadline is different from curling up with it for a leisurely read. If you haven’t had time for the latter, not to worry. I’ve compiled a list of lesser-known but useful recommendations. 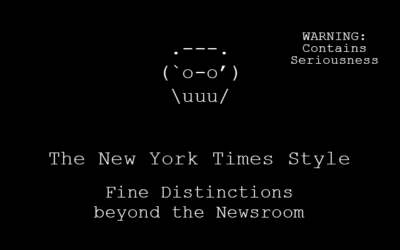 Billed as “the official style guide used by the writers and editors of the world’s most authoritative news organization,” the 2015 edition of The New York Times Manual of Style and Usage contains hundreds of changes made since the 2002 edition, increasing its usefulness to non-NYT writers and editors.